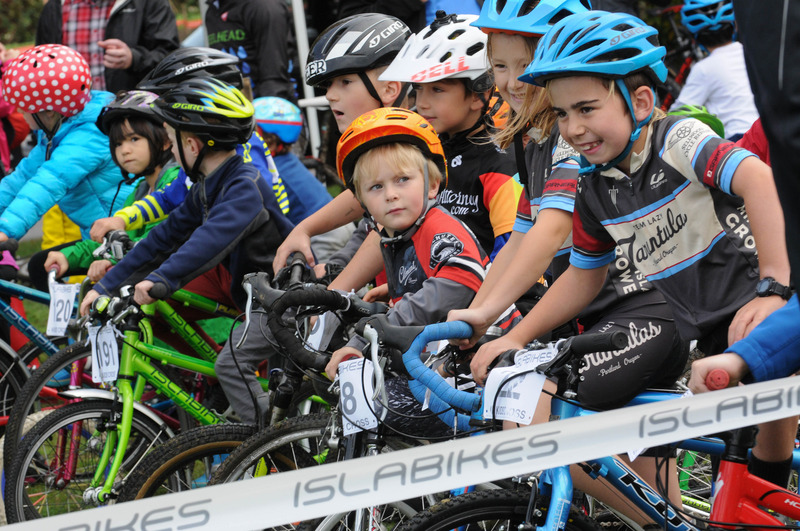 Even the kids are excited that ‘cross season is here. Hope you’re good at managing your time because Saturday is jam-packed with cool things to do. If you are into ‘cross, this is the first double-header weekend of the season with races in Vancouver and Sandy. But wait, there’s more! Do not miss the screening of Drew Coleman’s “State of Cyclocross” film Saturday night, which he shot in one day using the old-school super-8 format. If you like local culture and lore, ride to see the swifts on Friday, then check get a rare peek inside the PPB’s Traffic Division HQ in St. Johns on Saturday. Or if you love hanging out and supporting local businesses, the Golden Pliers Bike Shop Grand Opening Extravaganza is on Saturday. So much to love! Have fun out there! Seeing the Swifts (cool acrobatic birds) swarm above Chapman school before dive-bombing into its old chimney while laying on the lawn with a few hundred other people is a Portlander rite-of-passage. Perfect for families! More info here. 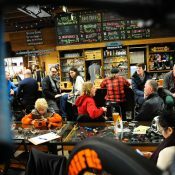 I know this 7-day ride isn’t the type of thing you just do on a whim, but figured I’d list it here because 1) Cycle Oregon is a great partner of ours and 2) Now you’ll know why your friends aren’t responding to email next week. More info here. Early season cyclocross continues with the second race in the GP series. Het Meer is known for its epic beach section which features deep sand and lots of endos! More info here. 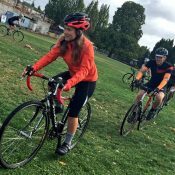 Grab a road (or road-worthy) bike and meet at the shop for free Stumptown coffee before a casually-paced ride. More info here. Ever wanted to learn more about that cool historic building right at the entrance to the St. Johns Bridge? Now is your chance! The PPB Traffic Division works there and they’re opening up the doors for a “living history” day. They have tours, vintage vehicles on display, officers ready to meet you, refreshments and more. More info here. Come help welcome this great small business to the neighborhood with a big party! They’ll have a prize raffle, BBQ, DJ, ice cream, and lots of good vibes. Learn more about the shop in our profile from a visit back in June. More info here. From the film’s creator Drew Coleman: “The film is a meditation on the sport of cyclocross. It explores its counter-cultural past, its existence today and what needs to be done to sustain it moving forward.” But wait, there’s more. The film was shot in super-8 format in a single day in January at the United States Cyclocross National Championships in Reno. View the trailer and learn more here. Spend the day on the farm and race some bikes in what has become one of the of the classic venues in our region. More info here. 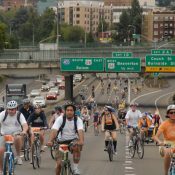 For you Beaverton folks, Bike Beaverton (the city’s version of Sunday Parkways) is this Sunday! thanks for telling us about that Austin! Somehow that wasn’t on my radar.